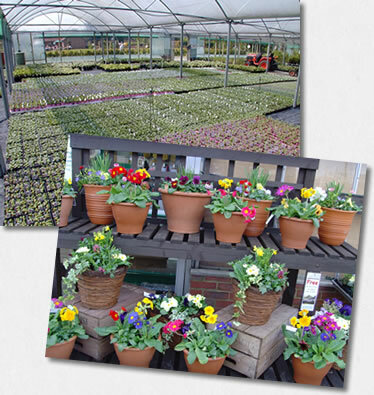 Coolings Nurseries is a well-known garden centre with two sites in the Knockholt/Badgers Mount area between Sevenoaks and Orpington – postcode TN14 7NN. 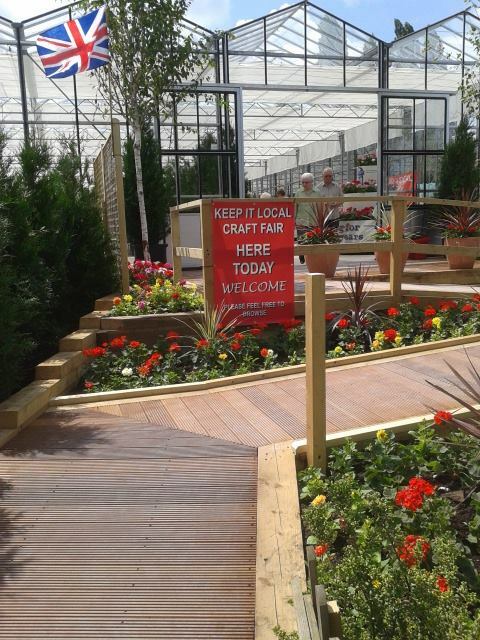 They have been voted Which Magazine’s Best UK Garden Centre for both 2010 & 2011 and in Spring their footfall can be upwards of 5,000 people over a weekend (split roughly equally and weather dependent). It is lower during the rest of the year, but nevertheless significant. 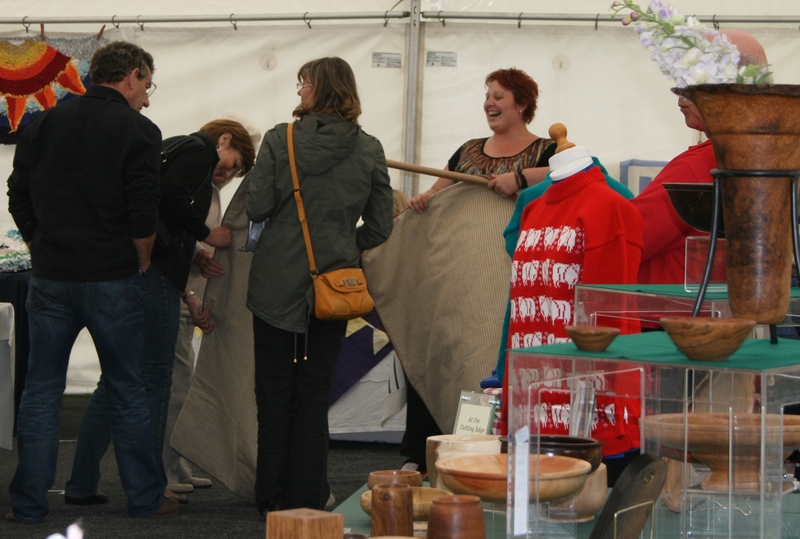 The Keep it Local team first ran a series of successful craft shows at Coolings in 2012. Just 15 stalls in the Lecture Room (now the Pet Shop area). The visitors were delighted with the standard and variety of work offered, despite the small venue. 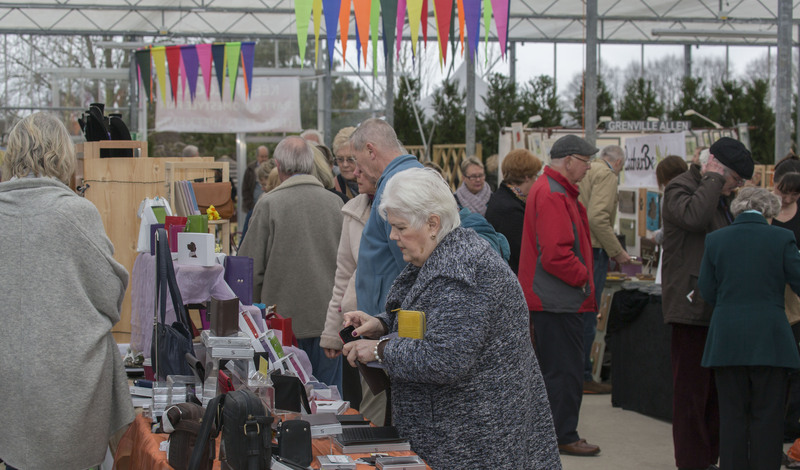 Then in 2013, we were able to use the lovely marquee on Arthur's Lawn which Coolings put up on for their Centenary events and in 2014 we moved into the spacious glasshouse events building. 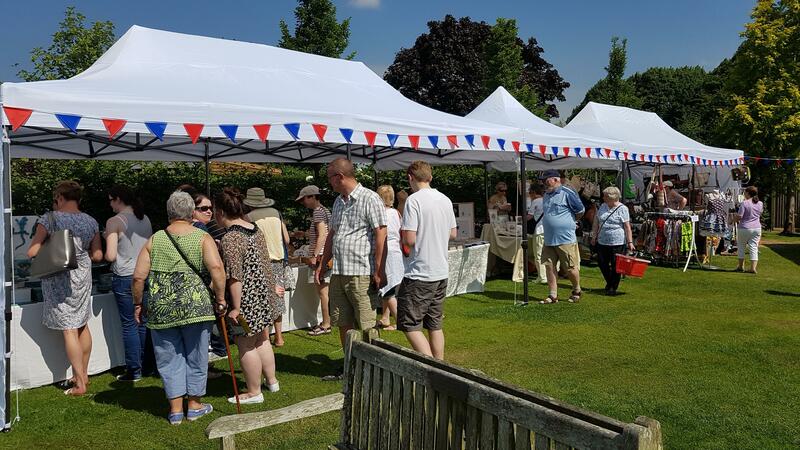 In 2015 and 2016 we learned that June is just too hot in a glasshouse, so we organised three events in the glasshouse in 2017 and one on Arthur's Lawn. 2018 and 19 are no different. 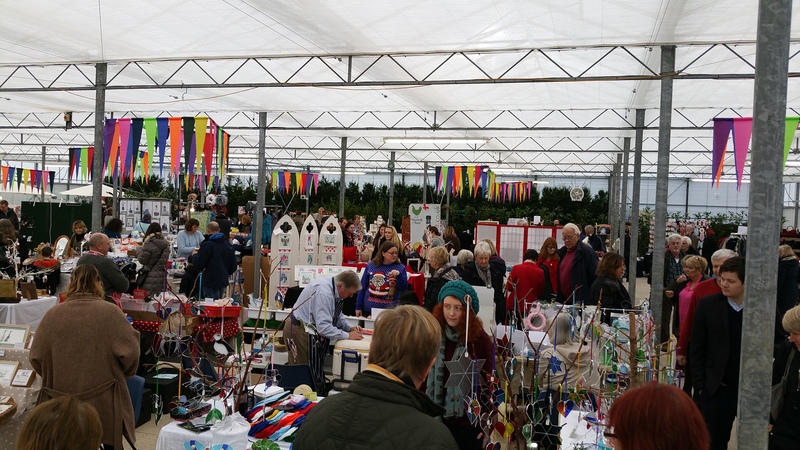 This venue is our "flagship" site - our largest event is our Christmas one when we see upwards of 80 stalls exhibiting and getting on for 5,000 visitors over the three days. There are two sizes of pitch available at Coolings. The deeper ones - 3 metres deep - which tend to be around the edge are £30 per linear metre of frontage per day. Our standard pitch (depth 1.4m) is £20 per linear metre of stall frontage per day. Power is available here and must be pre-booked at £5 per day. 6ft tables may be hired at £6 per day. Chairs are included FOC. So, for example, if you book a space of 1.4m deep by 2m frontage for one day that would be £40 - VAT is not applicable. All of our Coolings Craft events run from Friday to Sunday, 10:00 - 4:00pm. 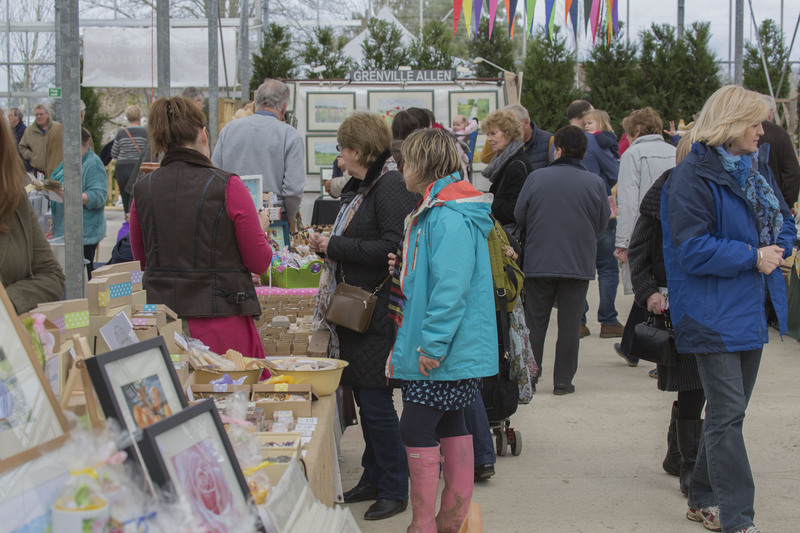 We welcome on average over 1200 visitors to this venue each day. We advertise in Coolings' Cutting Magazine which goes out to 36,000 homes locally and put posters up in libraries, post offices, village halls, corner shops and supermarkets within a ten mile radius. As always during one of our events the watering can signs will lead the way! We also spend the whole day on site. We'll wear hi-vis jackets during set-up and, whilst we're open, have an organisers table to welcome visitors, capture email addresses and advertise future events. Coolings only have checkouts at the exit to the whole site, so they are not used to customers having paid for things and then walking out carrying goods and not stopping at the checkouts. So to help the checkout staff, please wrap all your goods rather than allowing a visitor to leave our building carrying a purchase in their hands. 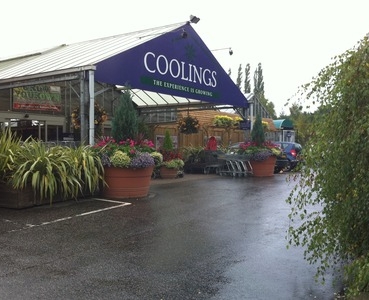 Coolings have two sites in and around Knockholt – we are at The Gardeners Garden Centre, Rushmore Hill, Knockholt, TN14 7NN (not the Green and Pleasant site in Knockholt). Coming from the M25, exit at J4 A21 to Bromley. At the second roundabout along the A21, turn left into Pratt’s Bottom (yes!) towards Knockholt. This road is called Rushmore Hill. Go through the village and up a wooded hill. After a “logs for sale” sign on the left, you will see a circular mirror on the right hand side of the road, Coolings entrance is about 30 yards after this on the left. When you get into the site, turn right and continue up the slope past the shop front. Carry on until you reach large electronic gates into the private Coolings area. You will be met there by one of us who will point you towards the unloading and parking areas. Click on the logo below to open Coolings' website in a new window.